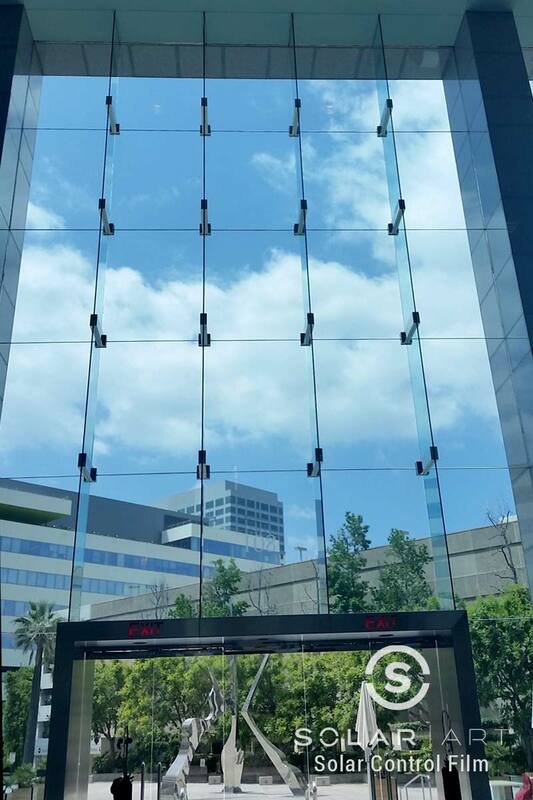 Solar Art installed ceramic window tint to a commercial building in Glendale, California. 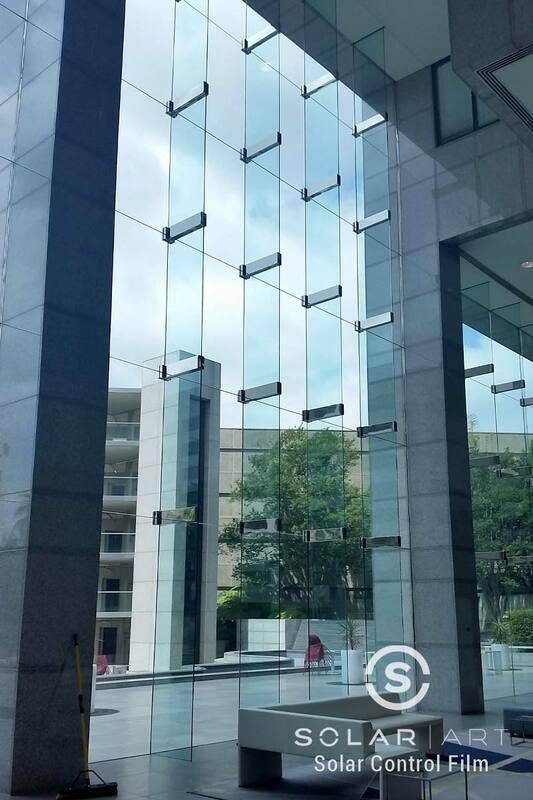 The entire front of the building is comprised of large glass windows that create a beautiful and modern look. The customer loved having the large windows that allows outsiders to see into their building, but they realized that they make the inside of the space a lot hotter. The seats that are right in front of the glass get really hot in the afternoon and make it uncomfortable for guests and employees to even sit there. They weren’t looking for blinds because they wanted to show off the large glass windows. The customer reached out to Solar Art to see what their different options were when it came to window film. After meeting with our sales representative, they decided ceramic window tint was the best option for them. They wanted a window film that wouldn’t change the aesthetics of the space, they wanted something that people wouldn’t even know is there. Ceramic window tint contains no metal or dye, which makes it an optically clear window film. Even though it is a very lightly tinted film, it is still a heat blocking window film. It can reduce up to 75% of heat that enters a space as well as reduce glare. It will prevent your furniture from sun fading and might even lower your electricity bill. Ceramic window tint works great in both residential and commercial settings. In addition to solar film, Solar Art also services anti graffiti film, security window film, custom graphics and decorative window film. Contact Solar Art today for a free quote! Interested in Ceramic Window Tint? Ceramic window tint is an very lightly tinted window film that can reduce heat by up to 75% and reduce glare. It also reduces 99% of UVA and UVB rays all while maintaining views. Contact Solar Art for a free quote!